I find it appropriate to ask pertinent questions about our labour unions this first working day of the week. What happened to our labour unions that made them lose their voices even in the face of tyranny? Has their solidarity songs suddenly ceased or their voices suddenly stifled? In the face of petroleum pump price increase by Buhari's administration, the labour leaders have been unusually quiet and comfortable. 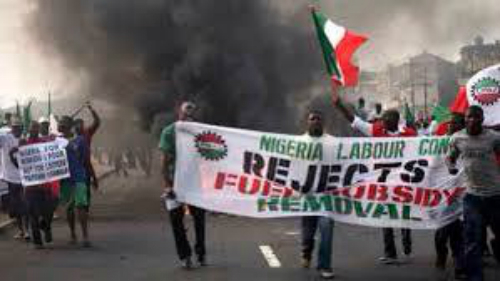 The same labour unions during the Goodluck Jonathan's administration, vehemently opposed fuel price increase to 87 naira and led the “occupy Nigeria” protest. They have kept quiet despite their members being owed arrears of salaries by states. They have never taken to the streets to protest massive retrenchment and humiliations of its members. What about demands for minimum wage? It seems the least of their worries. 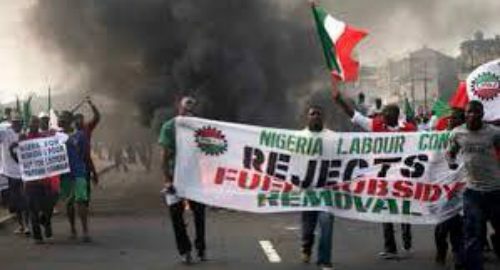 During the Goodluck Jonathan's administration, they vehemently opposed fuel price increase to 87 naira and led the “occupy Nigeria” protest. Has the “Aluta spirit” departed our labour unions? Are they now protecting the interest of the government rather than protecting the interest of their members and the general masses?